Is your home insurance fit for a castle or a cabin? If you live in one of these 10 states, your coverage may come with a hefty price tag. Hail, tornadoes, fire, lightning, vandalism—there are many misfortunes for which homeowners insurance can act as a shield. Moreover, these risks are not evenly distributed, as some areas see more aggregate risk than others. Ranging from the wrath of Mother Nature, to crime rates, to the average age and building materials of an area’s homes, there are many factors at play in determining regional homeowners insurance rates. So while home insurance quote comparison sites can help you find the best deal around, there are still some states that will require you to dig deeper into your pockets than others. Curious about these pricey localities, the data scientists at Insurify, a homeowners insurance quotes platform, studied the stats to find the top 10 states with the most expensive home insurance in the country. National averages. In the United States, the average home insurance premium costs $1,192 a year. Additionally, the median home value is $257,445 nationwide. Batten down the hatches. Perhaps unsurprisingly—as homeowners insurance covers damages to the home—areas with higher rates of natural disasters face more expensive annual premiums. The states with the most expensive coverage are concentrated within the paths of tropical storms, tornadoes, blizzards, and more. So if you have to think about taking cover every storm season where you live, be prepared to pay a pretty penny for homeowners insurance. Forget about the price tag. The states with the priciest homes aren’t necessarily the most costly to insure. While there is not a well-defined relationship between median home value and average premium cost in a state, some of the homes that are the most expensive to insure are also those with the lowest value. The five states with the most expensive homeowners insurance premiums all have median home values that fall below the national average. Perhaps the higher rates of disaster-related damage and wear devalue these homes despite the high price that goes into maintaining them. 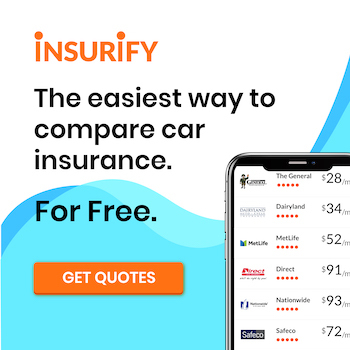 The team of data scientists at Insurify, a home insurance quotes comparison site, got to the bottom of home insurance premiums by region. With data from the Insurance Information Institute’s 2016 report which covered the National Association of Insurance Commissioners’ average HO-3 homeowner policy summary by state, the data team was able to rank the states with the most expensive annual premiums. Rates were based on the most common package—owner-occupied dwellings with 1 to 4 family units which opted for all risks coverage on buildings and broad named-peril coverage on personal property. The number of federally-declared disasters per state since 1953 originates from the Federal Emergency Management Agency (FEMA) and includes major disasters, emergencies, and fire management, which can all cause devastating home damage. Furthermore, the median home value per state was obtained from the real estate marketplace, Zillow. At the heart of the Rockies, Colorado’s wilderness is revered for its beauty…and its ferocity. With 91 federally-declared emergencies since 1953—many of which were wildfires—Colorado is the eighth most disaster-prone state nationwide. That said, despite the persistent threat of calamity and the 10th highest home insurance premiums in the country, Colorado nonetheless has the fifth highest median home value in the country. The Bay State is home to a populace that is hardened by both heavy snowfall and battering tropical storms. To ensure the coverage of their homes in the face of this inclement weather, MA residents pay an average of $1,451 in homeowners insurance premiums. Seemingly in defiance of any risk that might devalue its homes, Massachusetts has the highest median home value of any state on this top 10 ranking. Stereotyped as the home of quintessentially quaint New England towns with quintessentially quaint New England houses, Connecticut shoulders some of the most expensive home insurance premiums in the United States. The Nutmeg State is currently a seller’s market, according to Zillow, with approximately two percent annual growth in home values in recent years. In such an expensive state for premiums, all of those new Connecticut buyers will have to be sure to compare home insurance quotes to find a good rate. Rounding out the New England faction of the top states for home insurance premiums is Rhode Island. Lavish beach homes along the shoreline, such as The Breakers, may drive up both the median home value and the average premium in this state. Rhode Islanders have the 14th most valuable homes with a median of $281,500 and pay the seventh highest homeowners premiums at $1,496 a year. Since 1953 when FEMA began to keep records, Mississippi has been hit by a hurricane from the Gulf of Mexico roughly once every four years. On top of this, the Magnolia State’s homes have the fourth lowest median value in the country. This combination of recurrent damage and high home insurance premiums make homes in Mississippi very expensive to maintain without a high payoff in home value. While most of the world views tornadoes as fantastical twisters à la The Wizard of Oz, those who live in Kansas understand the extensive damage these cyclones can wreak firsthand. Often these tornadoes develop out of thunderstorms that can lead to severe flooding on top of the high-wind destruction. Unfortunately, most homeowners insurance policies do not cover this type of water damage. To be fully protected, Kansan homeowners would need to purchase flood insurance on top of home insurance policies that are already the fifth most expensive in the nation. Arriving at Oklahoma—the state with the fourth most expensive home insurance premiums on this ranking—also means witnessing the largest jump in price on this list. While Kansas, the fifth most costly state, has an average annual premium of $1,548, Oklahoma homeowners pay almost $1,900 a year. With premiums averaging $1,875 and homes worth approximately $123,000, Oklahoma also has the highest ratio of premium-to-home-value of all top 10 states. Despite its Sunshine State moniker, Florida is no stranger to dark skies. With over 145 disasters since 1953, Florida is one of the riskiest states in the country to own a home. Don’t be fooled into thinking that living further inland is an automatic escape from risk either—while some of the most notable of those 147 disasters have been hurricanes, many catastrophes have been wildfires that have been spread across the state. Everything is bigger in Texas, including both disasters and home insurance premiums. Since the mid-20th century, Texas has seen the highest number of federally declared emergencies in the country, with a huge margin over any other state on this list. As one of the largest states in the nation, it comes as no surprise that Texas sees a huge range of inclement weather, including tornadoes, hurricanes, ice storms, flooding, and more. The statistics do not paint a pretty picture for the number one state on this list. Louisiana is in the top 15 states in the country for disasters, the bottom 10 for home value, and the number one state for most expensive home insurance premiums. Hurricane Katrina, which famously made landfall in this state, is the most prominent natural disaster in the recent memory of most Americans. The devastation which the storm wrought on the homes and communities near Louisiana’s shorelines was long-lasting. Given this fraught history, it is perhaps of little surprise that this state leads the nation in home insurance premium costs.